Warm herbal and mineral foot soak + warm herbal neck pillow + organic relaxation blend infusion + 90 min relaxation massage with an essential oil infused hot towel treatment. 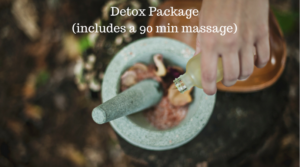 While enjoying your soak and a warm essential oil infused neck pillow, you will sip on a specially crafted organic zen herbal infusion. 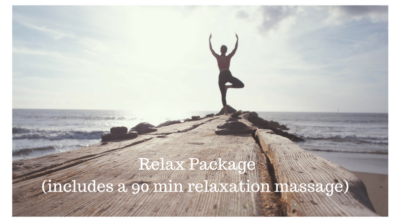 Once you are done, you can enjoy your 90 min relaxation massage, during which we will incorporate an essential oil infused hot towel treatment.